The 2016 Dunlop MSA British Touring Car Championship Season Review DVD is now on sale and pre-sales have already seen the non-stop thriller top the charts! Duke has today confirmed that the BTCC DVD has been the #1 best seller over the last two months, beating the Season Reviews from Formula 1, Moto GP and the World Rally Championship. You can purchase your copy here for just £16.99. In terms of consistently close and exciting racing there’s nothing really that comes close to BTCC – as its loyal fans are well aware. Every year the thirty round series produces a start-to-finish thriller which sees stars like Jason Plato, Gordon Shedden, Sam Tordoff, Matt Neal and Mat Jackson go head-to-head. 2016 has proved no exception and, as the Official Review shows, this was another bumper-bending, fender-crunching, no-holds-barred season-long campaign that has provided no end of entertainment. With cameras in the cockpits of leading contenders, as well as on multiple points around each track you get a real sense of being there in the moment! It’s all here on the two disc Official Review to provide over seven hours of thrills and spills as only BTCC can! 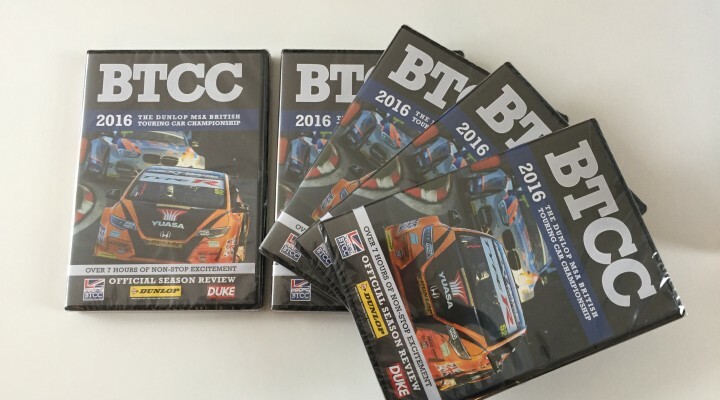 To celebrate the launch of the 2016 BTCC Season Review DVD we’re giving away five copies of the #1 best seller. To be in with a chance of winning simply like, share our competition post and comment on our Official BTCC Facebook Page to let us know you’ve entered! 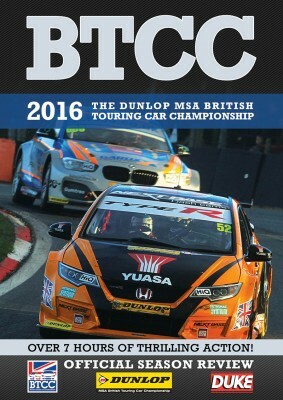 You may also enter by Twitter by liking the Official BTCC Twitter Account and RT’ing our competition post. The competition closes at 4pm on Monday 5 December. For full terms and conditions see below! 1x Like+Comment+Share = 1 entry. 1x Retweet+Like on Twitter = 1 entry. 1 entry per platform per person. Five winners will be picked at random from all the entries. The competition will close 4pm on Monday 5 December 2016. The winner will be announced by Facebook post and Tweet shortly after. The winner will have 24 hours from the announcement to come forward – it is the responsibility of entrants to check the winner’s announcement. If this does not happen another winner will be selected. The prize is non-transferrable.